The CISPA Case: Should We Try to Stop it? Way back in January of 2012, after one of the biggest online protests in history of the Internet, SOPA and PIPA were stopped. I think we all considered it a huge win of Internet community, of collective action, and of Internet freedom. Some people thought, that we the people just got a new – online meaning and that the issue of Internet privacy was secured. Well, they thought wrong. With SOPA and PIPA gone, there are new bills – CISPA and S.2105, which – if passed – can really violate Internet privacy. How? Well, CISPA (Cyber Intelligence Sharing and Protection Act) will give the government the ability to get information about users’ private activities and personal data without a warrant, and the power to use this information for almost any purpose, not only to prevent cyber attacks. It means that for example – your emails, your Facebook profile, which are shared by corporations will now be easily accessible and fully available to the government. Isn’t CISPA a good Act? 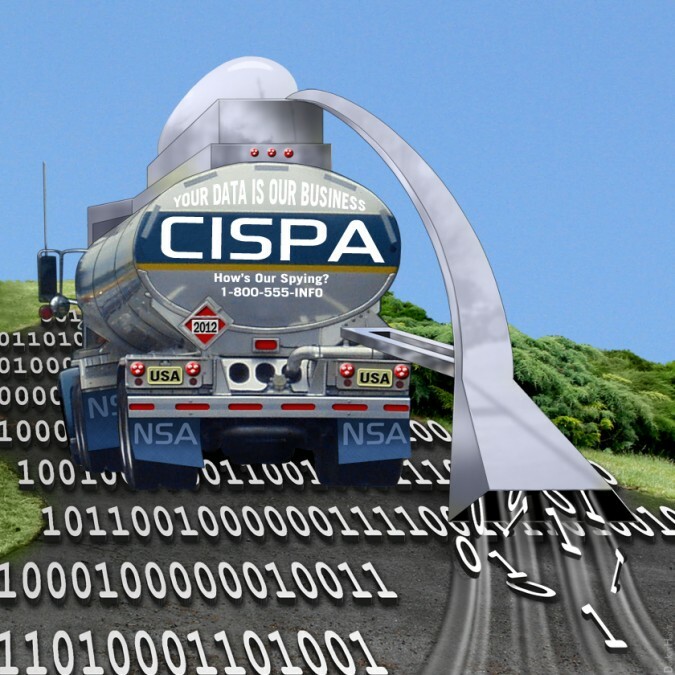 The usual argument for CISPA is that it will increase the level of cyber security. It’s advocates stress the point of rise of online crime that became such a big threat for citizens, companies and the government. In response to this, CISPA would allow authorities to get information from online companies about their users, that would be considered a threat, so they could react and protect users = citizens. The problem is, there is no specifying what exactly IS a measure of “national security” or “cyber security”. So, as long as the authorities would claim someone committed a “cyber security crime” they would have the right to receive all the personal data from online entities. So private users, as well as small business owners, would have no privacy protection at all. After all – even downloading one song is a “cyber security crime” of sorts. Or maybe posting a critique of government officials on your Facebook wall or Twitter? Using vague and ambiguous language while defining what is a “cyber security crime” in my opinion was fully intentional. There are only two options – people who wrote it are incompetent or they wanted to write it this way. Even if you think that most of elected officials are incompetent remember – they are only the “authors” – someone much, much smarter really wrote those bills. Now ask yourself what is more probable – incompetence or purposefulness? CISPA was already passed by the House of Representatives and soon will be voted on in the Senate. And even though CISPA hasn’t created the same buzz on the Internet as SOPA and PIPA has, still, there is a new initiative to stop the bill from being passed. If you want to get involved and help stopping passing of this Act (and I think you really should), you’ll find much help on Privacy Is Awesome, a project of a nonprofit organization – Fight for the Future. There you’ll find a few simple ways to act. Sending an already written email to your senators, joining the protest on Facebook by changing your Facebook cover photo, sending your senators an already prepared letter educating them. You can also call your senator or donate the organizers of the protest. All these steps will take just a few moments of your time, and they can be a great way to act. The SOPA and PIPA cases showed that you can actually make a difference simply by doing small things that don’t require much time, much effort or a lot of money. Fight for the Future is behind yet another initiative created to mobilize the Internet community against not only CISPA, but any legislation invading Internet privacy. It’s called the Internet Defense League and tries to keep the famous Internet Blackout (when hundreds of site, including Wikipedia closed for 24 hours, and “went black”) legacy alive. As the Defense League they stress the notion of Internet being under attack, so in their opinion there needs to be a force (created by millions of people) to protect Internet freedom. That’s why they created a “cat signal”, which will appear all over the Internet when online privacy will be in danger. The Defense League will work by sending messages to its members (or snippets of code, so the cat signal could appear on their site), asking them to broadcast an action. That’s their idea for how to reach more people and be more effective. As pompous as all this sounds, it still looks like a good idea. Even if seeing the cat sign won’t make a plain Internet user or a small business owners react and join some kind of protests, it will keep them informed about any actions, legislative steps that can affect their personal privacy or even business. Popularity of these (and other) actions and initiatives will be a good test showing real commitment and concern of Internet users. 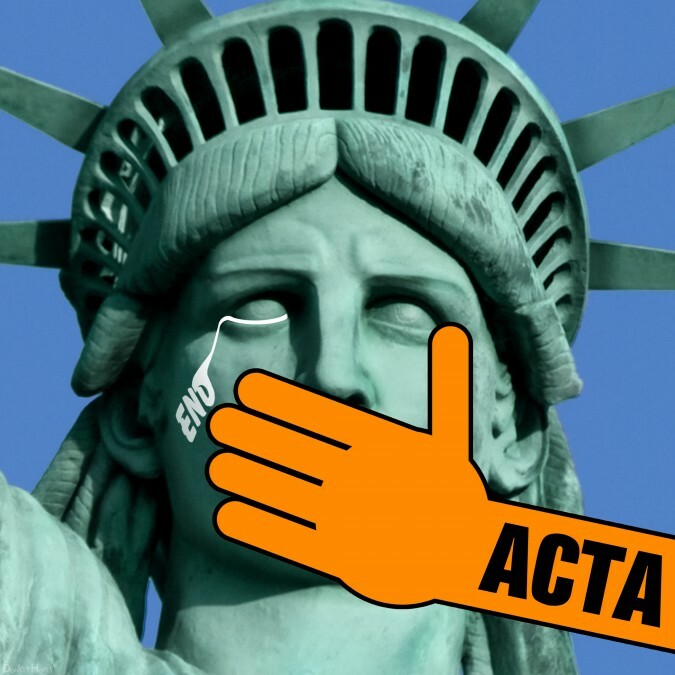 Was protesting against ACTA just a one time thing? An exemption of “the Internet users will never unite and care about new government legislative” rule? We will find out very soon. If CISPA will pass without huge protests around the web, this will be a very sad sign. What is most important – officials will learn they can censor the Internet and limit online privacy because the Internet community are just a bunch of geeks mostly concerned about games and new versions of iPads and stuff like that. Maybe – just maybe – the so called “Internet community” will once again show it has woken up for good. That it has realized it can influence and change government politics and is not going to give up this unique power. Power depending on ordinary Internet users just like me and you. So, dear reader – what are you going to do? Jack Samuelson is a contributing author who writes articles on numerous subjects. He has a wide range of interests, and a soft spot for weird news and funny stories. In a CFR Meeting Obama advisor Zbigniew Brzezinski told the Council on Foreign Relations of his Fears of the Global Awakening to their plans – and the Internet is how that information got spread. There are powerful elite who want to take away our Internet and especially shut up the people who have exposed their plans. They will NEVER stop trying to stop our ability to share online so we can never relax. One aspect of these bills that you didn’t mention is that they allow anyone to initiate a take-down of any site and their ISP is required to block your site. So any person for any reason can silence any other person. They can sometimes also include provisions that will require bloggers to be licensed or pay for their site to be accessed or pay if they don’t want their site to take forever to load. These are all serious issues we must all prevent if at all possible or the glory days of free communication on the Internet as we know it will be over. Gail, I’m concerned about this stuff too and hope to publish more on this and other topics like Internet taxation this year. Thanks for sharing your viewpoint. Thanks for your comments Gail. You are right, I didn’t mention the “take-down” possibilities implemented in the bill.